Fig. 1: With up to 16 test ports and an upper frequency limit of 20 GHz, the R&S®ZNBT20 supplements the vector network analyzer product range. 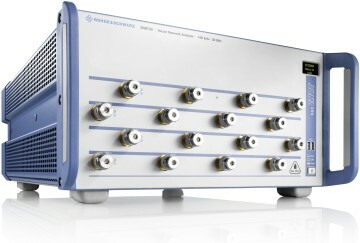 The new R&S®ZNBT20 multiport network analyzer permits parallel measurements up to 20 GHz on up to 16 integrated test ports. It offers high speed and accuracy, which provides numerous advantages for measurements on complex multiport DUTs in development and production.